Do you feel like your PC is sluggish and unresponsive? It could be due to any number of factors — too many apps running at once Can't Stand The Slowness? The Top 10 Reasons for Poor PC Performance Can't Stand The Slowness? The Top 10 Reasons for Poor PC Performance Has your computer loaded this webpage yet? If it has, you’ll be halfway toward working out just why it seems to be running so slowly. There are many reasons for desktop and laptops to chug... Read More , old or weak hardware These Upgrades Will Improve Your PC Performance the Most! These Upgrades Will Improve Your PC Performance the Most! Need a faster computer but aren't sure what you should upgrade on your PC? Follow our PC upgrade checker to find out. 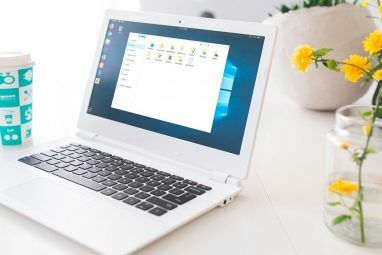 Read More , hidden malware on your system The Complete Malware Removal Guide The Complete Malware Removal Guide Malware is everywhere these days, and eradicating malware from your system is a lengthy process, requiring guidance. If you think your computer is infected, this is the guide you need. Read More , etc. — and the hard part is pinpointing which ones apply to you. The good news is that Windows has a ton of useful diagnostic tools 13 Windows Diagnostics Tools to Check Your PC's Health 13 Windows Diagnostics Tools to Check Your PC's Health Use these computer diagnostic tools to run a PC health check and fix issues. Some support Windows 10 diagnostics, specifically. Read More and one of them is something called the Performance Monitor (not to be confused with the Reliability Monitor 3 Reasons to Start Using the Reliability Monitor in Windows 3 Reasons to Start Using the Reliability Monitor in Windows Windows features a hidden troubleshooting tool. The Reliability Monitor records system errors, crashes, and offers solutions. We show you how to find and use this Control Panel app. Read More ). Using this can really cut down your troubleshooting times. Here’s a quick but complete introduction that includes why you should use it and how to get started. In Windows 10, you’ll find no fewer than five ways to access the Performance Monitor. I personally only use the first method, but feel free to use whichever one is most familiar and comfortable to you. Via Windows Search: Open the Start Menu, search for performance monitor, and launch the Performance Monitor (which should be labeled as a Desktop App). Via Administrative Tools: Open the Control Panel and navigate to System and Security > Administrative Tools, then double-click the Performance Monitor shortcut. Via the Run Prompt: Use the Windows key + R shortcut to open the Run Prompt (one of many Windows Key shortcuts to learn 13 Nifty "Windows Key" Tricks You Should Know By Now 13 Nifty "Windows Key" Tricks You Should Know By Now The Windows Key can be used to do a lot of neat things. Here are the most useful shortcuts that you should already be using. Read More ), then type perfmon and click OK. Via the Command Prompt: Use the Windows key + X shortcut to open the Power User Menu (one of many Windows superpowers to learn 10 Neglected Windows Superpowers & How to Access Them 10 Neglected Windows Superpowers & How to Access Them With all its nooks and crannies, not even the most die-hard Windows fans have explored all its complex features. We have compiled those hidden Windows tips and tricks we think anyone will appreciate. Read More ), then click on Command Prompt. In the command line, type in perfmon and hit Enter. Via Windows PowerShell: Launch PowerShell using your method of choice, then type perfmon and hit Enter. This method is most useful if you’re already a regular PowerShell user Command Prompt vs. Windows PowerShell: What's the Difference? Command Prompt vs. Windows PowerShell: What's the Difference? Windows users can get by without using either the Command Prompt or PowerShell. But with Windows 10 and new features around the corner, maybe it's about time we learned. Read More . Once the Performance Monitor is running, don’t be intimidated by its not-so-friendly interface. Here’s our step-by-step look at what this tool can do that’ll ease you into it all. By default, the Performance Monitor starts off with one data measurement: Processor Time. This shows what percentage of your CPU’s maximum power is being used on a moment-to-moment basis, or in other words, how hard it’s working at any given moment. But you can monitor hundreds of other stats on your system if you want to. The Performance Monitor allows you to add and remove “counters” to the board (a counter is just another word for “thing you want to monitor”). This flexibility is what makes this tool so useful. 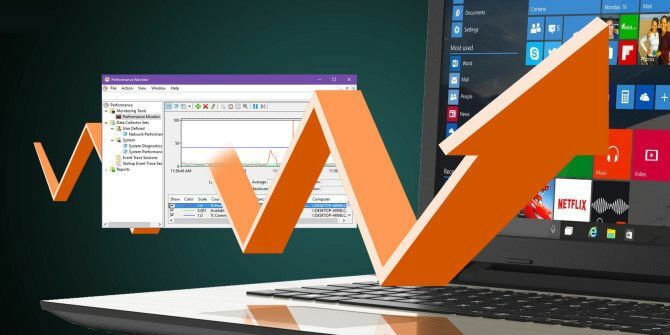 So even though you can use the Task Manager for its performance overview 10 Windows Task Manager Tricks You Didn't Know 10 Windows Task Manager Tricks You Didn't Know If the only time you open the Task Manager is when an application is frozen and needs to be killed, you're overlooking some of its more powerful features. Read More , this is a much better tool to use when you’re specifically trying to diagnose a particular problem. Memory | % Committed Bytes in Use: Tracks what percentage of your RAM is currently committed (“in use”). This should fluctuate as apps are opened and closed, but if it steadily increases, it could indicate a memory leak How to Troubleshoot Low RAM or Memory Leaks in Windows How to Troubleshoot Low RAM or Memory Leaks in Windows Do you have 4 or more GB of RAM and does your computer still feel sluggish? You may suffer from a memory leak or shortage. 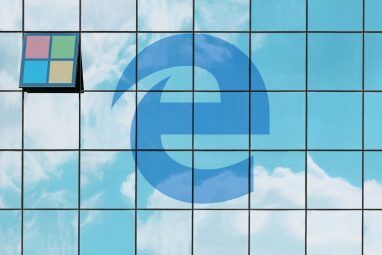 We show you how to troubleshoot all your Windows (10)... Read More . Network Interface | Bytes Total/sec: Tracks how many bytes are sent and received over a particular network interface (such as Wi-Fi or Ethernet). If this ever gets above 70% of an interface’s bandwidth, you should consider upgrading. Paging File | % Usage: Tracks how much of your system’s paging file Everything You Need to Know About RAM & Memory Management Everything You Need to Know About RAM & Memory Management RAM is your computer's short term memory. Hence, memory management has a significant impact on system performance. Here we explain how RAM works and whether you can do anything to increase its efficiency. Read More is being used. If this is consistently high, you should consider increasing your physical RAM or at least increase the size of your paging file Is Your Virtual Memory Too Low? Here's How to Fix It! Is Your Virtual Memory Too Low? Here's How to Fix It! The curse of Windows is its slowing down over time. Often, low memory is to blame. Here is one more way to virtually unburden your RAM. Read More . Physical Disk | % Disk Time: Tracks how much of the hard drive’s time is spent handling read and/or write requests. If this is consistently high, you should consider upgrading to a solid state drive 5 Things You Should Consider When Buying An SSD 5 Things You Should Consider When Buying An SSD The world of home computing is moving towards solid state drives for storage. Should you buy one? Read More . Physical Disk | % Disk Read Time: Same as above except only for read requests. Physical Disk | % Disk Write Time: Same as above except only for write requests. Processor | % Interrupt Time: Tracks how much time is spent by your CPU handling hardware interrupts How to Fix High CPU Usage Caused by System Interrupts How to Fix High CPU Usage Caused by System Interrupts Your computer suffers from high CPU usage and the process that hogs most resources is "system interrupts"? We will help you get to the bottom of this! Read More . If this is consistently above 10-20%, it could indicate a potential issue in one of your hardware components. Thread | % Processor Time: Tracks how much of your processor’s capabilities are being used by an individual process thread (an app could have multiple threads). Only useful if you can identify which thread to monitor. Note that counters are conveniently categorized by the Performance Monitor, which is why each of the counters above has a prefix. These categories come in handy when you want to set up Data Collector Sets (more on this below). You can also add an entire category of counters to the monitor instead of picking single counters at a time. Pro Tip: You can create your own performance counters using languages like Visual Basic, C#, F#, as well as the PowerShell. Instructions for this are beyond the scope of this article. Let’s say you want to monitor your system’s memory usage every week. Isn’t it such a hassle to open the Performance Monitor and add each of the counters you need every time? What if you want to monitor memory usage, data drive usage, network usage, and Windows Search Indexer performance? Isn’t it an even bigger hassle to swap out counters one by one by hand? That’s where Data Collector Sets come into play. A Data Collector Set is basically a group of different performance counters that can be saved so that you have quick access when you want to monitor a specific aspect of your system. They can also be used as templates when creating new Data Collector Sets. Windows 10 comes with two predefined sets. You can find these in the sidebar under Data Collector Sets > System. System Diagnostics: A detailed set of counters that track and log all kinds of deep system information. It runs for 60 seconds before automatically shutting itself off. It can let you know if, for example, some of your hardware might die soon These 5 PC Parts Tend to Die: How to Extend Their Lifespans These 5 PC Parts Tend to Die: How to Extend Their Lifespans Computers aren't designed to last any longer than a few years. However, if you want to be proactive, there are things you can do to extend the life of your own computer. Read More . System Performance: A detailed set of counters that track information that’s pertinent to processors, hard disks, memory, network performance, and kernel tracing. It runs for 60 seconds before automatically shutting itself off. What does it mean when a Data Collector Set “runs for 60 seconds”? That’s the great thing about using sets: they run in the background and only collect information while running. You can schedule them to start or stop according to different conditions (more on this below). So let’s walk through the process of creating your own custom Data Collector Set. In the sidebar, right-click on Data Collector Sets > User Defined and select New > Data Collector Set. Give it a name, such as “Network Performance” or “Memory Leaks”, and make sure you select Create manually (Advanced) to set it up from scratch. Click Next. When asked about what kind of data you want to include, the simplest would be to select only Create data logs > Performance counter. Click Next. Now you get to determine which performance counters are going to be used in this set. Click Add… and select the ones you want and however many you want. Important: Before clicking Next, make sure you set the Sample Interval to 1 second. This determines how frequently the Performance Monitor will take a “sample” of your counters. If the interval is too long, you could miss important details between samples. The data that’s collected by the set needs to be stored somewhere so you can analyze it at your convenience. The default location is fine, or you can move it wherever you want. Some even put it right on the Desktop 3 Better Ways to Store Your Files Than on the Desktop 3 Better Ways to Store Your Files Than on the Desktop Did you know that storing files directly on your desktop can harm your productivity? Desktop storage is simple, but it comes with hidden drawbacks you may not know about. You can do better! Read More . Lastly, you can choose under which user this set will run when it runs. By default it runs on the system that’s currently active, but you can click Change and set it to a specific user regardless. Select Save and close and click Finish. And there you have it! Your first Data Collector Set is done. Right-click on it in the sidebar and select Start to start it or Stop to stop it. At this point, starting it will make it run forever (until the system shuts down). Here’s how to set a specific duration on it so that it only runs for, say, 60 seconds or 1 hour. First, right-click on your Data Collector Set and select Properties. Navigate to the Stop Condition tab. Here you can set an Overall Duration for the set so that it automatically stops when the duration is met. A common duration is 60 seconds. If you want to automatically monitor your system in the background at regular intervals, you can let the Performance Monitor handle that for you. Right-click on your set and select Properties. Navigate to the Schedule tab and you’ll notice that you can set up multiple conditional triggers for when your set actually runs. Click Add to get started with your first one. Leave the beginning date as it is and ignore the expiration date (unless you want this schedule to only apply during a certain time period). Pick which days should run the set and at what time it should run. If you want to run at different times depending on the day, that’s when multiple schedules come in handy. So maybe Schedule 1 runs the set at 3:30 AM on Saturdays while Schedule 2 runs the set at 9:00 AM on Wednesdays. It’s a bit of a hassle, but it works. Once a Data Collector Set has finished running, you can load up its log file into the Performance Monitor, so you can visualize all of the information it tracked. Click on Performance Monitor in the sidebar to view the actual monitor, then click View Log Data in the toolbar. Under the Source tab, select Log files as the data source, then click Add and browse to the location where you saved your set’s data and select the file (it should be in .BLG format). Next, navigate to the Data tab. With your log file loaded, this is where you can pick and choose which data points you want to view in the monitor. Click Add and you’ll be able to choose from counters that were tracked in your log data. By default monitor data is shown as lines as can be seen in earlier screenshots in this article, but you can also view the data in other ways. The screenshots below show the same data in all five ways. At the end of the day, the Performance Monitor is just that: a monitor. It’s only good for identifying issues, not fixing them — but as far as monitoring goes, nothing is better. 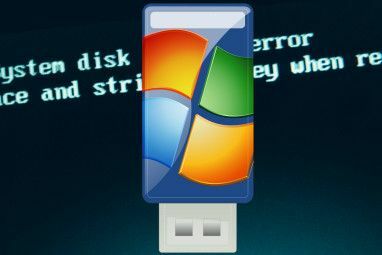 It’s a must-use tool for Windows power users. Note also that the Performance Monitor isn’t a panacea. Your PC’s slowdown could be caused by a number of other issues as well 5 Little-Known Specs That Could Be Slowing Down Your PC 5 Little-Known Specs That Could Be Slowing Down Your PC We'll take a look at five lesser known factors that affect your computer's performance, and show you how you can always get maximum bang for your buck when upgrading. Read More . If you’re on Windows 10, there are several operating system specific tweaks and tips How to Speed Up Windows 10 From Boot to Shut Down How to Speed Up Windows 10 From Boot to Shut Down Registry tweaks and ominous cleaners rarely fix a slow computer. We have compiled a list of tried-and-true methods that will give your Windows 10 computer an instant performance boost. Read More that you can use to boost speeds from start up to shut down. If your system is still slow, you may want to benchmark your hardware How to Benchmark Your CPU and GPU Like a Pro How to Benchmark Your CPU and GPU Like a Pro Benchmarking allows users to gauge hardware performance, troubleshoot issues, and compare system setups. It's commonly used among gamers. We introduce you to the technical details and show you how the pros benchmark their systems. Read More . Hardware bottlenecks are one of the biggest reasons for a slow PC. Have you used the Performance Monitor before? If not, will you start now? Got any other tips? Let us know in a comment down below! Explore more about: Computer Maintenance, System Monitor, Windows 10, Windows 7, Windows 8, Windows 8.1.